ISBN 0793525764. 9x12 inches. Edited by Louis Moyse. Contents: Prélude et Scherzo (Henri Büsser) • Concertino, Op. 107 (Cecile Chaminade) • Concertino, Op. 45 (Alphonse DuVernoy) • Cantabile et Presto (Georges Enesco) • Fantasie, Op. 79 (Fauré) • Andante et Scherzo (Louis Ganne) • Fantasie, Nocturne at Allegro Scherzando (Philippe Gaubert) • Ballade (Périlhou) • Andante Pastoral et Scherzettino (Paul Taffanel). Recordings of piano accompaniments available separately: HL50490448. Really happy with this product. 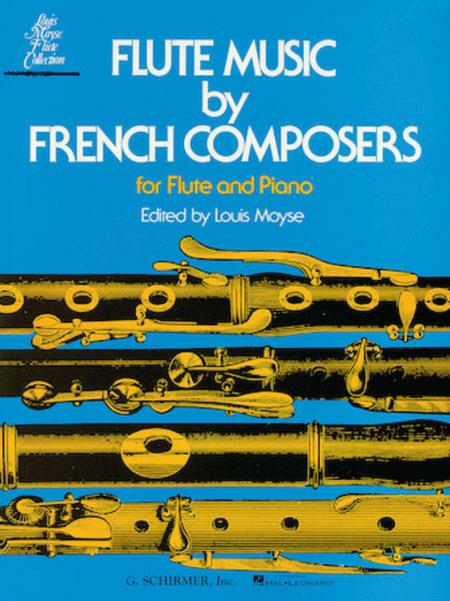 Apparently there are copies of this book that is sold without the flute insert. Luckily, this copy was in tact and shipped very quickly, in excellent packaging by Sheet Music. Very happy with this company and will order from them again! October 13, 2017 Love it! I would have that. I was not let down and I love these pieces! 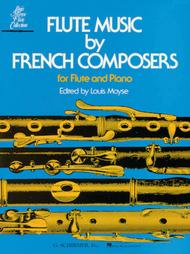 This is the book to have if you are a serious flutist. Great range of pieces in an easy to read format, great quality binding and good piano accompaniment format. February 08, 2012 Sublime French School! Indispensable. Beautiful repertoire for french school lovers, notably Chaminade's Concerto and Enescu's Cantible et Presto. Flute and Piano parts in separate manuscripts. Accompaniment CD available for purchase. 70 of 118 people found this review helpful. April 25, 2010 This book is definately a must! money, because you will play these solos eventually. This is definately one of the best books I ever bought. 95 of 160 people found this review helpful.